So, first off, I will start with the necklace, for £2.99 reduced from £15.99 this is was an absolute steal but it does come with a negative... It stinks! You know that horrible cheapy tacky necklacey (let's add 'y' onto everything) kind of smell that lingers on your body after wearing it! Ergh! I love how well made it is and the fact it has so many findings but the smell has meant I have thrown it somewhere in my room and I have no intention of trying to find it. I was disappointed because it does look so stunning on, the white diamante really catches the light and it really is such a big statement piece. Availability: Was clearance so now OOS. 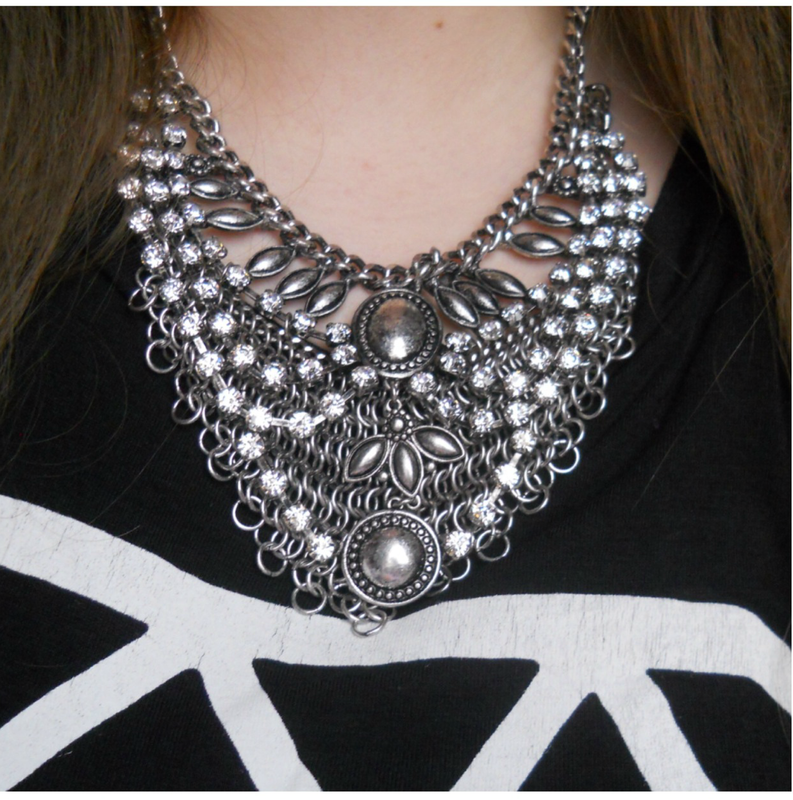 Next was the lucky diamond vest top I nabbed in the sale for £4.99, I absolutely love this! It is made mainly of rayon and so it's a really stretchy slouchy kind of top and looks fab with a cardigan or leather jacket thrown over the top of it. I can certainly see this appearing on it's own with leggings in the summer and I mean just look at the lucky diamond symbol, ahh, I am in love! 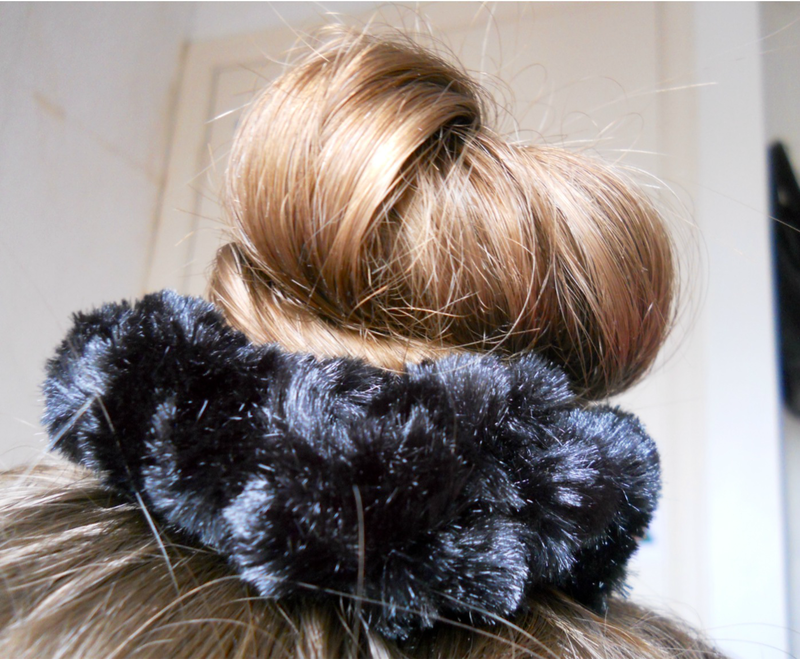 Finally, I bought a fluffy thick hair band, I have seen these around a lot lately and have heard/read/seen that they are very on trend at the moment. I have really long hair and am always putting it in a bun with just a plain black hair band so thought I would try this for a change. It stretches nicely around my bun two times which holds it in place really well. It was only £2 which I thought was a reasonable price seeing as it's well made and the material feels high quality. Availability: Couldn't find any on the Forever 21 website so has this trend passed? Do you shop at Forever 21? If so, what kind of items do you buy? The fluffy hair band is so cute! I need one.